Congolese goats seem to be no different than their Nigerien counterparts. Click on the picture above for a short video. Perhaps the larger problem is the utter lack of trash disposal. The plastic bag bans in neighboring countries won’t solve everything, but boy it goes a long way in keeping the streets clean. 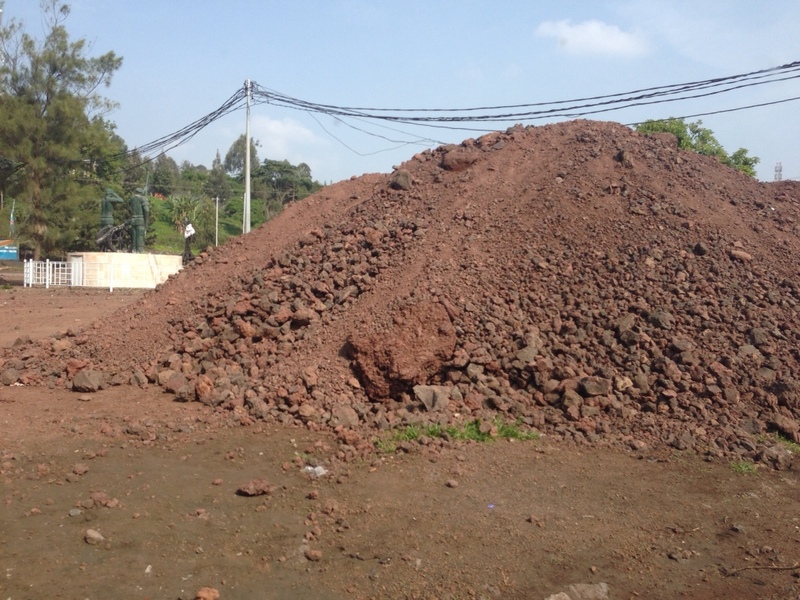 The roadside in Rwanda is almost entirely devoid of garbage, a striking difference with most of the other African countries I’ve visited. 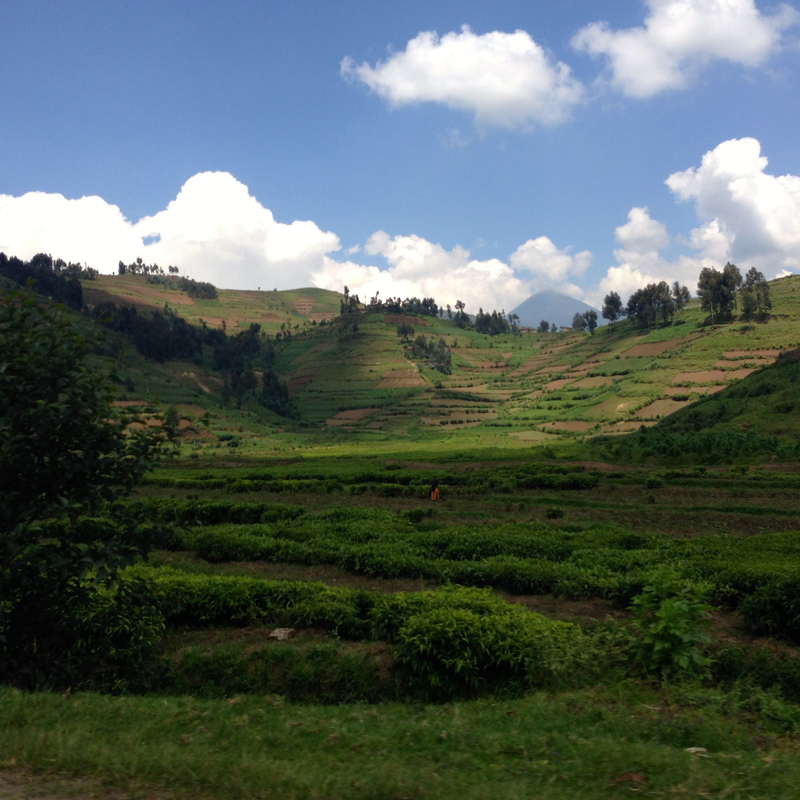 What perhaps on the surface is merely an aesthetic concern – and one I fill a little silly arguing for because as an outsider I like that Rwanda is “pretty” without all the trash – I also believe can inspire a Jacob’s ladder of change. Start with the trash, and maybe people will take a greater interest in maintaining their communities. Maintain the communities, and the people who live in them have something of value in their lives – a place where their kids can grow up healthy, where they can start a business, where they can build homes. Suddenly, they have a reason not to get embroiled in the politics and factionalization that seems to crop up so quickly on this continent. Maybe that’s too much to hope for from getting rid of a few plastic bags, but it’s a start. Correction: I mistakenly wrote that banning plastic bags wouldn’t solve “anything.” I’ve changed the word to “everything” because I do think banning them could do (and is doing) some good. 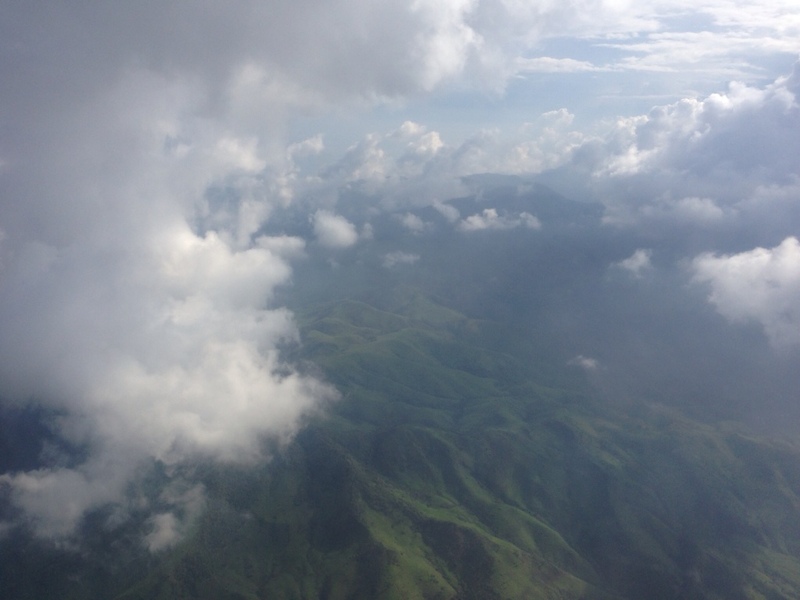 The scenery on the approach to Goma from the air never disappoints. I’ve been thinking a lot about what I wanted to say in this second part of my reaction to Paul Theroux’s recent article in Barron’s about aid in Africa, a sort of resolution that ties together my thoughts on development. But the truth is, I wrestle with ambivalence on the subject, and struggling to come up with a firm conclusions (or even multiple conclusions) leads me to the same answer I often give when I’m asked what life is like in Africa: It’s complicated. 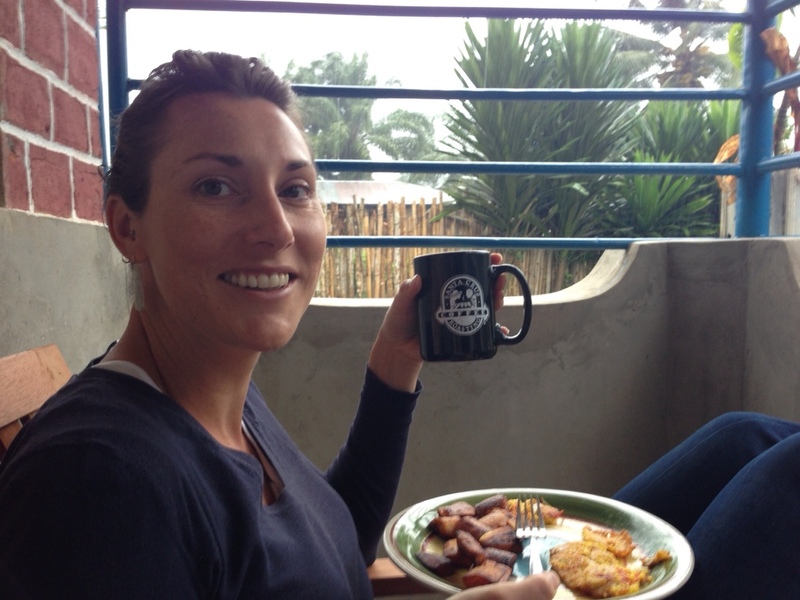 Even a hardship post isn’t all hardship – thanks to Santa Cruz coffee that made the round trip from Rwanda through California back to Central Africa. On the one hand, I’m so thankful for the opportunity I’ve had to see a few African countries from the ground floor, so to speak, living in small towns and villages and seeing beyond what I’d see if I were just visiting for a short time. 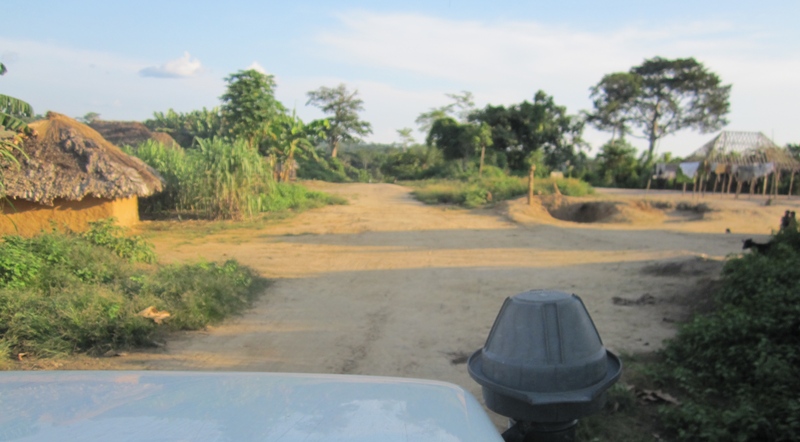 Short of up and moving to another country with little or no outside support – following in the footsteps of Livingstone and Stanley and Mungo – working for (or having a spouse who works for) an aid organization provides one of the few opportunities to at least catch a glimpse into the daily lives of fellow human beings. And yet, that seems like a selfish reason to be involved in this sort of work, especially if you’re not sure that you’re helping more than you’re hurting. 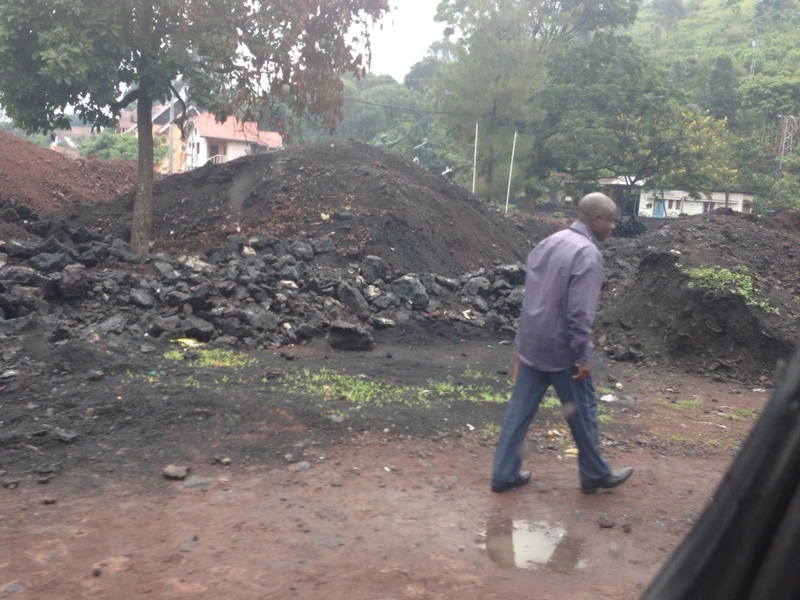 Goma is still picking (largely by hand) away at the solidified lava flow from Nyiragongo’s eruption in 2002. I see the value of small aid projects – ones that build the small savings and lending groups, for example, that Anne-Claire and her colleagues are involved in. On the individual level, it’s not hard to find the results, like the man who stood up at a recent meeting and talked about how the group taught him the value of putting money aside for a rainy day – not a trivial realization when floods or droughts or volcanoes or rebel groups or even your own government’s army can take away everything you have in an instant. But these types of projects aren’t likely to change poverty on a broader scale. What’s more, they don’t generate the kinds of numbers necessary to build a data-driven case for investment – not that data-based development is a bad thing, but more on that in a later post. I guess the only real conclusion I’ve come to is that communication across culture barriers is rarely a bad thing, and the presence of aid/development organizations facilitates that crosstalk in many ways. The challenge now is to leverage what comes out of those conversations to make for better aid projects. It’s only when the people involved – the “beneficiaries” in aid-speak – are intimately involved in coming up with solutions to poverty. 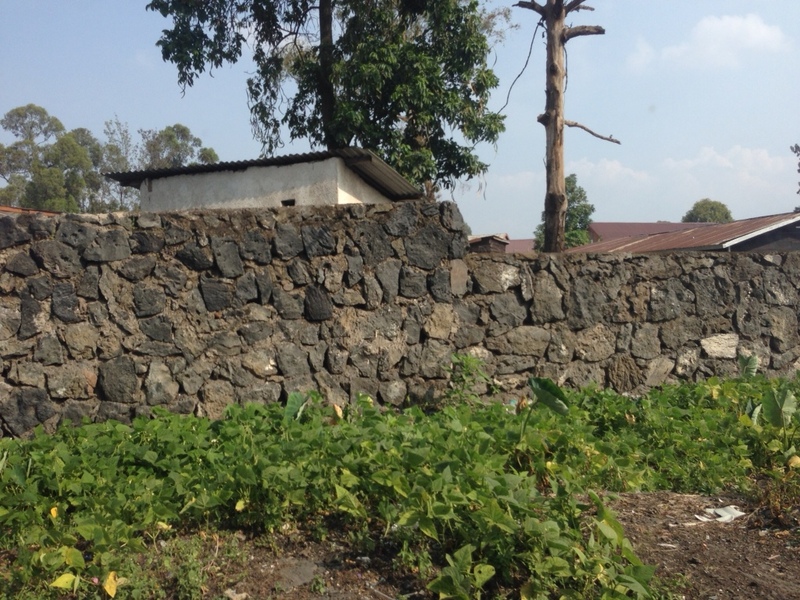 Houses and walls made of hardened lava were reportedly springing up all over Goma before the eruption had even ended. Switching gears a little bit but extending that idea, I came across a new book called Aid on the Edge of Chaos. The thesis is that the best answers might come from not spending so much time designing projects for an intended outcome. Instead, the author argues for giving people a tool and standing back while they figure out the best way to use it. One example given (I haven’t read the book yet) is the installation of community computer terminals connected to the Internet in Indian slums. After dropping these hard-to-come-by objects into certain areas, the project designers were surprised to see children using the Web to teach themselves English. I’m anxious to read the book, and I’d love to hear your thoughts on it if you already have. 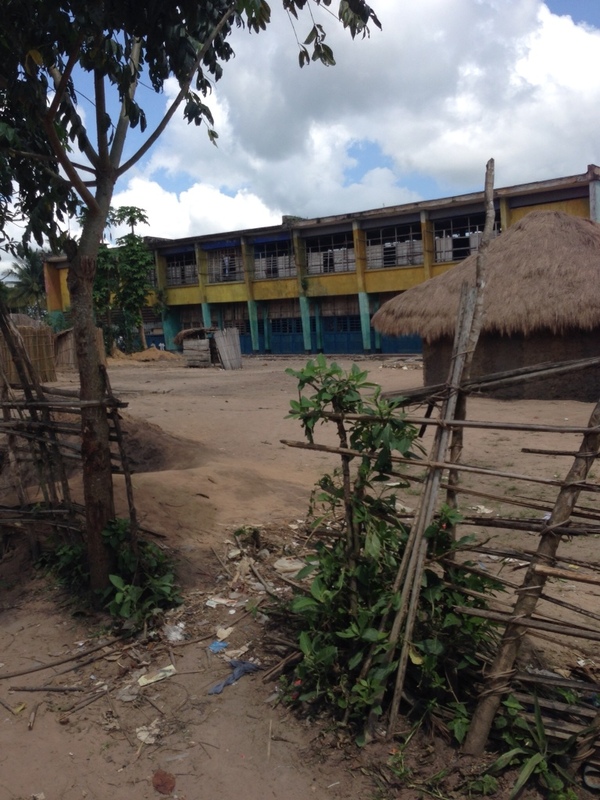 Lodja’s “premier” school – not an easy place to learn. Paul Theroux managed to crystallize the hypocrital “aid mess” in Africa for Barron’s last month in a way I certainly can’t. In an elegant thrashing in turns of celebrity do-gooders, meddling politicians, and even Peace Corps Volunteers – a tribe of which he’s one of the most celebrated and controversial members. His whole essay might come off as a polemic, delicately disguised in snap-smart prose by one of contemporary literature’s deftest hands – if he weren’t also right. 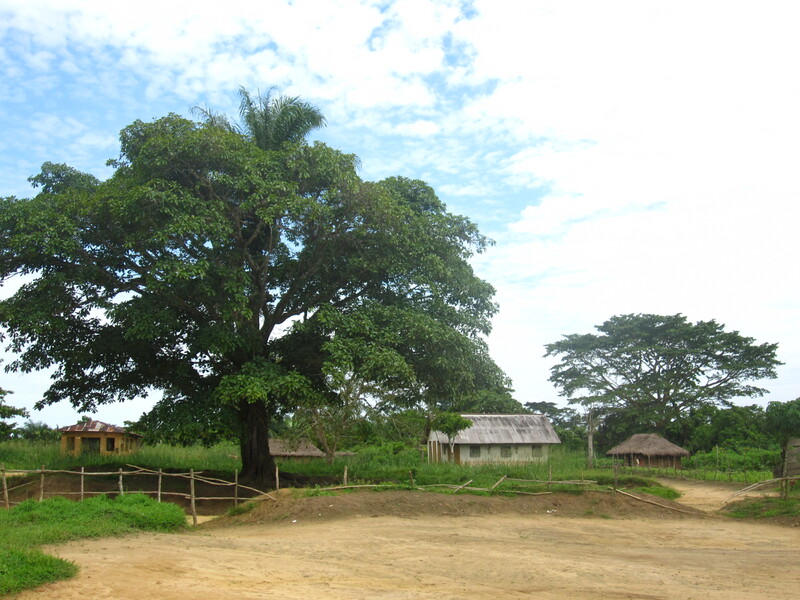 The continent – what I’ve seen of it anyway – is a smear of development projects. A few work; most don’t. The ruins of concrete grain banks, broken pumps, and empty health centers don’t take much effort to find. So why do it? Why bother? Anne-Claire and I have this discussion a lot, really trying to give some thought to what might happen if we all just left Africa to sort out her own problems. In my simplistic view, things might get better – imagine building countries in which the best and brightest worked in hospitals, government, industry, the next Google, instead of in the aid sector – but only after they got worse. If we just pulled the supports out from under aid and development, hard-gotten gains – the near-eradication of diseases like Guinea worm and polio, and significant drops in infant mortality, for example – would be erased in a matter of years. So effectively, removing all aid would be unconscionable, condemning a generation or more to the worst poverty the world has ever seen. What’s more, it’s impossible. We live in such an interconnected world, we can’t expect Africans to just accept the West leaving them alone, no matter how much of ‘that’s-our-lot’ fatalism tinges every aspect of life here. Nearly a billion talented, scrappy, eager, resourceful Africans want the healthy children and education and wealth, as well as automobiles and televisions, that they see the rest of the world enjoying. The darker side of that ambition is the urge to accumulate material things, whether it’s a new shirt, a pair of shoes, that car that’s just outside your price range, or a big house with a pool. We all struggle to live within our means – in Africa, the U.S. or anywhere else. 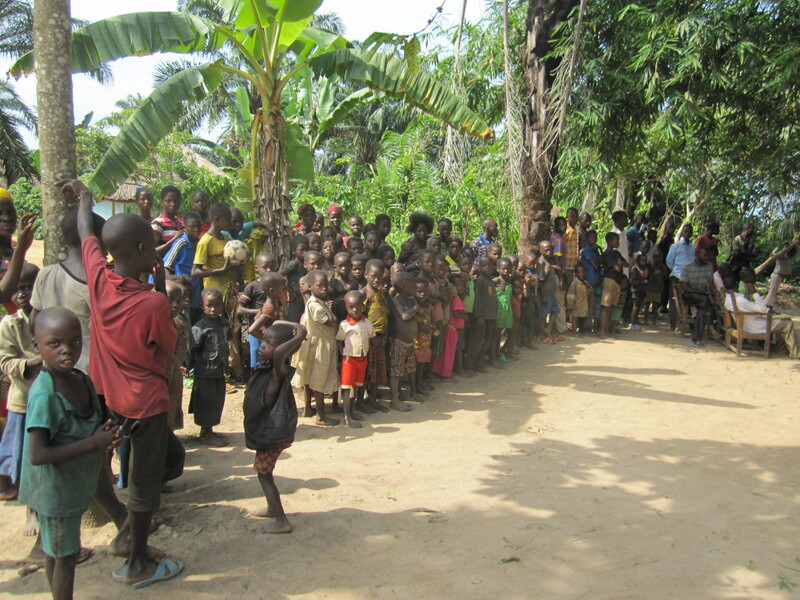 In many ways the poverty in Africa can be boiled down to a credit crisis – that is, not having the funds to pay for something right now because you already spent it – which we certainly know a bit about in the West. I’ll have more in Part 2 of my thoughts on Paul Theroux’s piece in the next couple weeks. This week’s news from Africa has been swamped with reports from the shopping mall in Nairobi, and for good reason. But it’s a little strange being in a place like Kinshasa, known for its crime and seething unpredictability, and to still feel every bit of the continent away from Nairobi, about 1500 miles as the stork flies. That’s to say, I feel safe here. Violence of the sort that killed 67 people and counting is at once both targeted and random. Targeted (in my uneducated opinion – about East African culture and politics any way) in that it was a direct attack on a city in the ancestral homeland of the U.S.’s president, though you could certainly argue that the aims of perpetrators were lost on the former occupiers of the corpses pulled out of the Westgate mall. And random, in that, for all I know as an ordinary citizen, this sort of violence could strike anywhere, and to try and avoid it is tantamount to subsisting inside a bubble. Terrorism of this ilk is not particular to the African continent. Folks in London, Madrid and the Washington Navy will say asmuch. And based on my experience, after living a couple years in Niger, traveling overland across West Africa, and now settling down for a year or so in the Congo, sub-Saharan Africa is no more dangerous than most other parts of the world…if you’re not from here. If you are from here, if you are born in Africa, the story’s very different. As they say, statistics don’t lie and it’s dangerous to be an African, especially a child or a woman. Certainly violence plays a part in that, though it’s not typically of the headline-commandeering sort that al-Shabbal aimed for and successfully garnered in Kenya. Add to that malaria, diarrheal disease, infections – all of which we visitors can more or less avoid with the proper preparation – and you’ve got daily death totals that dwarf whatever the final toll will be in Nairobi. Disparity in standards of living is fodder for another discussion. An important, if tertiary, lesson that comes to my mind regarding the Nairobi bombing is that what’s different about these sorts of events, when they happen in Africa instead of Europe or North America, is the utter lack of understanding we in the West seem to have about why they happen. I cannot comment on the underpinnings of what Nairobi has just experienced. I haven’t yet been to Kenya, and don’t know much about what goes on there, other than what I read in the newspapers. I am thankful, however, that for Congo at least, some good writers have had a lot to say. So, here’s my (of course-incomplete) reading list. Most of it pertains to what is today the Democratic Republic of Congo and what’s been known variously as Zaire, the Belgian Congo, and the Congo Free State in the last century or so. Conspicuously absent are writers of African origin, and that’s due mostly to my own shortcomings, namely my lack of fluency in Kiswahili, Kiluba, and Lingala, and I’m a year or more away from being able to digest written French adequately. But it’s a start. King Leopold’s Ghost: Required reading as far as I’m concerned for anyone hoping to understand sub-Saharan Africa today, not to mention colonialism, corporatization, megalomania and racism. Adam Hochschild deftly juxtaposes the stories of Belgium’s Machiavellian king and the man he chose to be his muscle in a colony about 80 times larger than his own country, against the quiet stirrings of a humanitarian movement, a precursor the American Civil Rights Movement, that was among the first to question how colonized people were treated. In the Footsteps of Mr. Kurtz: Few reporters have the African bona fides that Michela Wrong can boast. In this dissection of Joseph Mobutu’s 32-year reign in the Congo, she ties together the interconnections of colonialism, African independence, greed, the Cold War, and foreign aid that conspired to make perhaps the world’s most resource-rich country (DRC) also one of its poorest. And few players – from the CIA to the World Bank to the International Monetary Fund – make appearances in the book and exit with their reputations untarnished. Yes, Mobutu was the quintessential kleptocratic African dictator, but he had plenty of help along the way. We wish to inform you that tomorrow we will be killed with our families: It’s been a while since I’ve read this book on the Rwandan Genocide, but everyone I talk to says that to understand Congo today, especially the violence around Lake Kivu, you have to learn about the genocide that occurred just across the border. The million Rwandans who died in 1994 represent only a piece in this puzzle. Narrow in its focus, this book lays out what happened – and didn’t happen, in terms of help from the rest of the world – over those horrific 100 days. Africa’s World War: Congo, the Rwandan Genocide, and the Making of a Continental Catastrophe: Unfortunately, I’m still working on this one. Dense and meticulous, it’s footnoted like an academic tome, but I’ve found the level of detail and analysis fascinating. The well-respected French author, Gerard Prunier, also wrote a book specifically about the genocide (also still on my “To-Read” list). Dancing in the Glory of Monsters: I haven’t read this one yet either, but Jason Stearns (the author) writes the definitive blog (in English, anyway) on Congolese politics called Congo Siasa. The writing can be a bit tedious, but he provides excellent perspective and context on what’s happening in this country, particularly in the east. Spillover: This is a bit of an indulgence on my part, as it’s not specifically focused on the Congo. The book covers about 10 zoonoses – that is, disease we humans can catch from animals in a globetrotting detective adventure. But in a section of the book, science writer David Quammen, in what I heard he himself describe as “fiction envy,” imagines beautifully how HIV might have made the leap from apes to humans in early 20th-century Congo. I’d be remiss if I didn’t mention Jeffrey Gettleman‘s recent profile of Rwanda’s president, Paul Kagame. It’s a 3-dimensional portrait of a man who many in the West would remain neatly flat to the rest of the world. Much of Gettleman’s work as the New York Times’ East Africa bureau chief has been stellar. One of the best sources of African news, often reported by African journalists, is the 15-minute daily podcast, BBC’s Africa Today. So, what did I miss? What other good books are out there about sub-Saharan Africa?